How can you spot equine strangles symptoms, (Strep. equi); prevent strangles and treat it. Ever since humans first relied on horses for work and recreation, strangles in horses has been a source of frustration. It is caused by the bacterium Streptococcus equi (Strep. equi), and it is one of the most common equine respiratory infections in the world. It can affect horses of all ages and types. Make sure you know how to prevent strangles, how to spot it and what to do about it. Strangles can kill, (in even simple cases there is a one percent mortality rate). But the major reason for concern is the speed with which equine strangles spreads, especially in a stable yard setting. 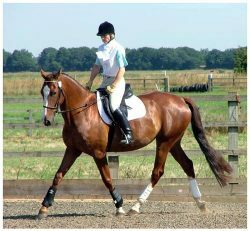 In large horse populations established outbreaks may last for months, essentially shutting down equestrian centres and livery or stable yards. Recovered horses can become carriers and can harbour Strep Equi with no outward clinical signs. Consequently, new or recurrent outbreaks are likely unless costly diagnostic procedures and aggressive quarantine measures are put in place. Would you know how to manage an outbreak of strangles in horses on your yard? Results of a recent poll showed not all horse owners are fully aware of the problems caused by Streptococcus equi. What is Equine or Horse Strangles? Strangles in horses is a respiratory infection, which also affects donkeys and ponies, caused by Streptococcus equi. It is a highly contagious disease and the most common bacterial infection of horses. It affects the lymph nodes and is spread to other horses by direct contact and can be spread by contaminated food, water and equipment. Horses under 5 years of age are more susceptible than older horses and it most often occurs when the weather is cold and damp. 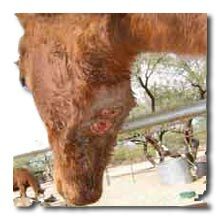 Once a horse becomes infected the symptoms usually appear within 2 to 6 days. Fever, depression, loss of appetite, nasal discharge, and swollen lymph nodes make clinical diagnosis straightforward. Isolation of Streptococcus equi from the nose and throat (including the guttural pouch) with swabs taken from the nasopharynx and from abscesses will confirm the clinical diagnosis. How Common is the Equine Strangles Disease? While strangles in horses is rarely fatal (1% of cases), it is one of the most common equine respiratory infections and causes major economic loss to the equine industry worldwide. Mainly due to its prolonged course, long recovery period and associated serious complications. 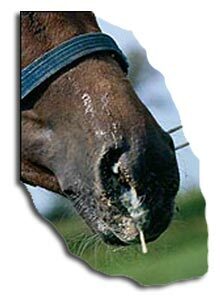 The International Collating Centre reports that strangles is responsible for 30% of equine infectious diseases. In Sweden, where strangles and equine flu are notifiable diseases, there are approximately four cases of strangles for every case of equine flu. Transmission of horse strangles also frequently occurs because of shared water sources. The bacterium lives in water for longer periods of time. The equine strangles bacterium enters the lymph glands via the respiratory tract and may live in the guttural pouch. The lymph nodes swell and can rupture, shedding the bacteria into the environment. It is thought that the bacteria can survive in water for at least four weeks, and up to eight weeks on tack or wood. Can it diflucan 150 mg para que serve cause a weird..